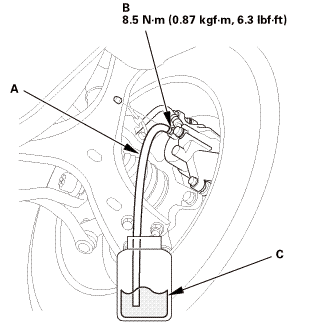 Disconnect the brake line (A) from the brake hose (B). 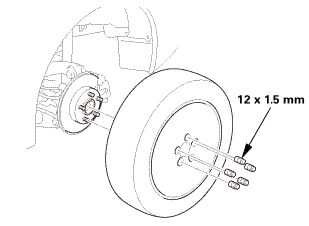 Remove the wheel speed sensor clip (C). 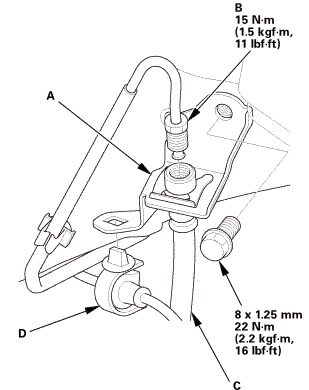 Remove the brake hose bracket (D). 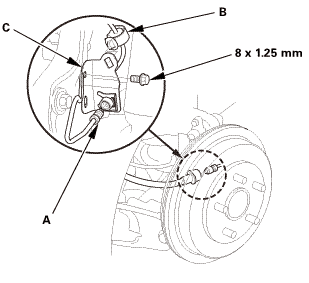 Disconnect the brake line (A) from the brake hose. 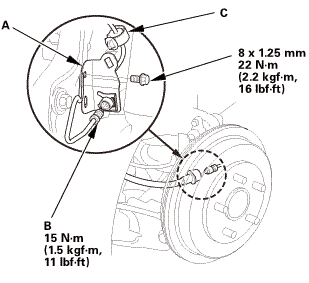 Remove the wheel speed sensor clip (B). Remove the brake hose bracket (C) with the brake hose. 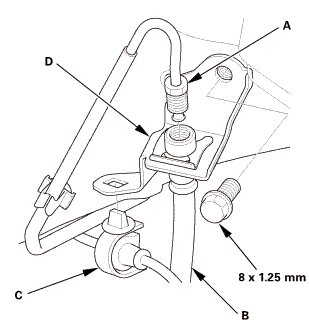 Install the brake hose bracket (A) with the brake hose. 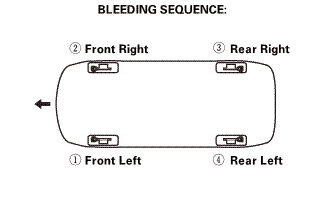 Connect the brake line (B) to the brake hose. 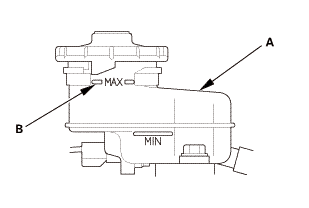 Install the wheel speed sensor clip (C). Install the brake hose bracket (A). 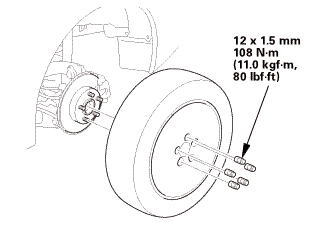 Connect the brake line (B) to the brake hose (C). 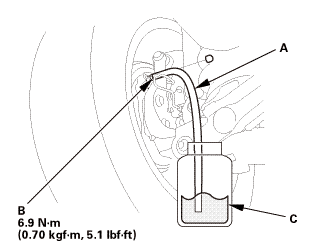 Install the wheel speed sensor clip (D).